As the WCKC closes out the RaceLab team came out focussed on results and in the end results were achieved. With several drivers entered in the program the Lab had a guest driver in the Junior category from the Californian Ethan Ho. Ho put the new Atomica SLS on the pole of the junior class both days but weather conditions proved to be a a challenge but the Los Angeles native managed to tackle the rain like he was a local resident of B.C. With strong pace he managed to take home in the end a 4th in Saturday’s Final and a strong 5th in Sunday’s ultra competitive final event. In Mini Max Antonio Costantino has been a threat all year, with several pole positions and the most fastest race laps over the season however it was a difficult battle over the season and he needed everything to go his way to earn the championship title and qualify for the Rotax World Finals in Brazil. On Saturday Costantino was dominant until 2 laps to go where he came in contact with lapped traffic as he was a half a lap ahead of his closest competitor. Ryland Eagles was a big story for the team as he increased his pace drastically and was battling with front runners landing himself a spot on the podium in third place in the main. On Sunday Antonio on a mission to redeem himself took to the final with a vengeance and drove a clinical race that he closed out with an indisputable victory with a measurable distance once again between himself and the 2nd place finisher. 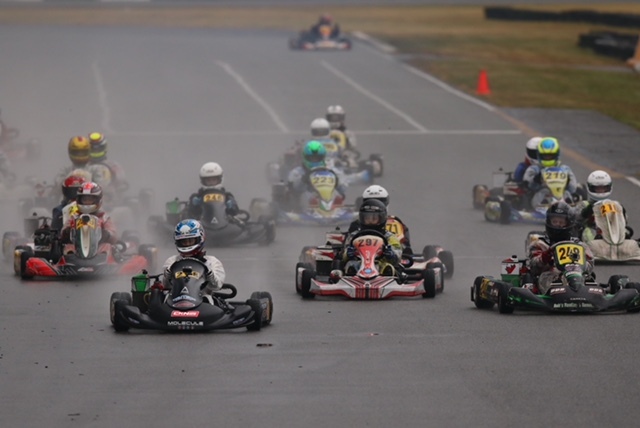 Unfortunately with Saturday’s incident the B.C local fell short of the Championship by just a few points and closed out the runner up in 2018. In Masters Chris Eagles was the man to beat. His Atomica SLS was perfect as he ran an unchallenged race on Saturday to take a big win and put himself into a comfortable position in the championship going into Sunday. While he had a shaky start he jockeyed for position throughout the race hunting the race leader. Eagles made an attempt for the lead on the final lap however he couldn’t make it stick, however he did manage to close out the championship. 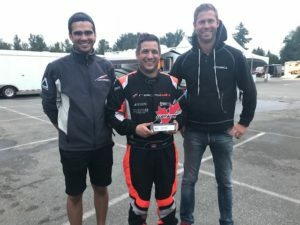 “Our team has worked so hard all season and even with the strong results we achieved I know we could have had much more had the stars aligned in our favour a little more at times, I can’t thank our crew enough for all of their hard work and commitment to the program” RaceLabs Team Manager and Owner Steve Rickman’s thoughts on the season. The RaceLab would like to thank all of our Team Partners : Atomica Racing Kart, Molecule Sports Canada, Greyhound Seats, Unipro, Matrix Production Services, Sumo Bio Bags. 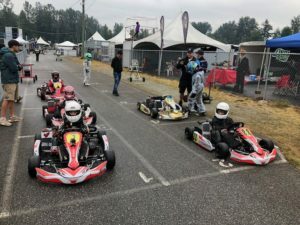 This entry was posted in News and tagged carts, Go Carts, Go Kart, Kart, Karts, Racing, Vancouver, WCKC, Western Canadian Karting Championships.